PLEASE NOTE THAT WE ARE CURRENTLY NOT OFFERING THIS PROCEDURE. OUR APOLOGIES FOR THE INCONVENIENCE THIS MAY CAUSE. You had breast augmentation. However, after recovering from your surgery, you aren't happy with your results. Your breasts don't look the way you want them to look, or you may have experienced a complication that needs to be dealt with as soon as possible, before it gets worse. Switch your current implants to a smaller (breast augmentation reduction)or larger size. Switch your implants for a shape that is more suitable for your body. For example, you may want to have a narrower base width to enhance the projection of your breasts. Reposition your implants so they aren't so high, or low, on your chest. This involves recreating the implant pocket. Surgically reduce the extent of scarring. 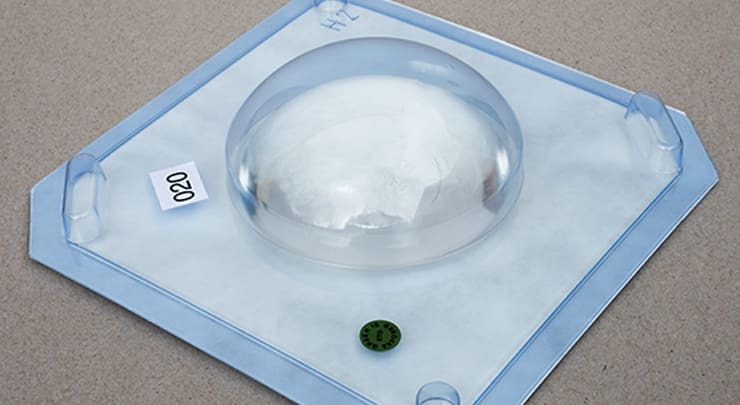 Resolve the presence of capsular contracture, a tightening and hardening of the breast due to excessive scar tissue forming around an implant. This requires replacement of the affected implant as well. According to a Plastic & Reconstructive study, capsular contracture tends to be the most common reason for revision breast augmentation. Correct asymmetry by replacing one implant to better match the shape/size of the other breast. My patients report a high level of satisfaction for a longer period of time after their breast augmentation surgery. This is because I aim for an improvement that will last for a long time. I do this by considering your natural body measurements (including height, weight and chest wall), your skin quality, general health and your goals. Based on this information, I help you select an implant size/shape that will look proportionate on your body. Proper implant selection will also minimize the rate of sagging you experience in the years after surgery — all with the aim of giving you results you'll be happy with, hopefully for your lifetime. Your self-esteem and quality of life will improve, according to a 2013 study. I've been a board certified plastic surgeon for over 15 years. During this time, I served as the Chief of Plastic Surgery at St. Joseph's Health Centre until November 2012, where I was responsible for a team of plastic surgeons and the surgeries they performed. I am also currently an Assistant Professor of Surgery at the University of Toronto. In my experience, I have seen the results of thousands of primary and revision breast augmentation procedures. I have a profound understanding of how to achieve a beautiful, natural looking improvement while minimizing the risk of disappointing results and complications. Your surgery is customized according to what you'd like to achieve. If a complication exists that needs to be resolved, I will resolve it as well as improve the shape and size of your breasts. Usually, the surgery begins with the creation of an incision in a pre-determined location. Through this incision, the current implant is removed and a new one is inserted, if desired. Excess scar tissue may be removed as well. A new pocket may be created to accommodate your new implant. The incision made in the breast tissue is closed with layering stitches, then the external incision made on your skin is also closed and dressed. Finally, a surgical bra is placed to provide extra support for your breasts while you recover. You may feel a little more discomfort if your surgery involved treating a complication, such as capsular contracture. However, this discomfort should be well controlled by prescribed pain medication. It's important you take one to two weeks off from work or school, as advised, so you can rest and recover better. Make sure to get plenty of rest and abstain from any rigorous activity. You'll need to avoid anything that will raise your blood pressure, such as heavy lifting and stressful situations. Walking around the house periodically is recommended to help decrease the risk of blood clots. As your recovery progresses, you may feel some tingling or electrical shock-like sensations in your breasts. This is caused by nerve regeneration and is part of the normal healing process. Continue to wear your surgical bra as advised, which could be for several weeks. If you've had scar revision, make sure to follow the incision care instructions I've given you and avoid exposing the scars to the sun. I've seen several patients suffering from disappointing results or complications because of improper implant selection and inaccurate surgical techniques. It's always disheartening. However, I've found that after I perform the revision, these same patients are very happy. You'll finally got the results you wanted without complications. What is revision breast augmentation? 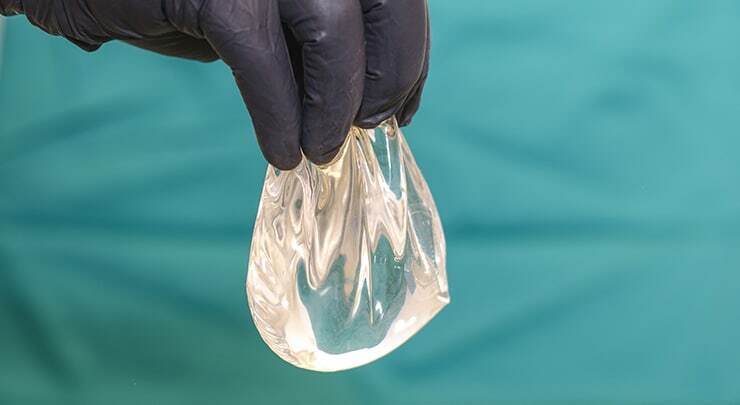 This procedure, also known as revision augmentation mammaplasty, is for patients who have had breast augmentation performed at least once before, but did not get the results they had hoped for. The procedure can also address a complication, whether it be medically necessary to resolve or simply to correct an aesthetic issue. Why would I want a secondary breast augmentation? There are several other issues that can be addressed with a breast augmentation revision. How do I know my implants have ruptured? Ruptured implants will tend to change the shape and size of your breast. With saline implants, deflation tends to be quite noticeable because of how fast this occurs. However, ruptures with silicone implants can take longer to notice because of how intact the gel filling remains. An MRI is the most effective method of detecting silicone implant ruptures. If you notice a sudden change in the shape and/or size of your breasts after you've had implants for a while, you should get it checked out. Do I have to pay for new implants? Breast implants come with a warranty. Ruptures are generally coveredfor your lifetime. However, there may be surgical and facility fees involved that you may need to pay for. This depends on what is getting fixed. Generally, your surgery will follow the same steps as your original breast augmentation. The incisions may be made in the same location. Your implants will be removed and the pocket may be modified if necessary. New implants will be placed, then the incisions are closed. Your surgery may take longer to perform if a capsulorrhaphy is performed. Will OHIP or my insurance cover my surgery? It may, depending on whether your surgery was deemed medically necessary, as would be the case of resolving a complication. Do I need to replace my implants if they aren't bothering me? No. You don't need to replace your implants if there's nothing wrong with them and you're still satisfied with your results. Can I switch from saline to silicone, or vice versa? Absolutely. You are free to choose which implant filling you prefer. However, I can talk to you about the benefits of both to help you through this process. Can you just remove my implants and not put new ones in? You don't need to get new breast implants if you prefer, and can simply have your current implants removed. This may leave your breasts saggy. A breast lift may be performed to make them perkier.